The Provincial Council of Bizkaia has presented the new image of the provincial institution’s website and its new profiles on social networks. Not only has this website changed its design, it has also been conceived following a logic in the management of contents that does not serve the internal departmental organisation of the Provincial institution, as it focuses on its citizens. In this sense, the new design of the Council’s website includes a new subject classification with the following blocks: budget and public accounts; companies, internationalisation and employment; family, equality and social inclusion; regional tax authorities; sustainability and territory; sports; Basque language and culture; mobility and transportation; agriculture and livestock; tourism and leisure; and municipalities. The main menu has a tab that brings together all the procedures that citizens can perform with the Provincial Council, such as scholarships, grants, payments or profile of the subject. The Provincial Council of Bizkaia completes its online presence with a strategy for having a presence in social networks which bizkaia talent has also joined as an association promoted by the Regional Department of Economic and Territorial Development. 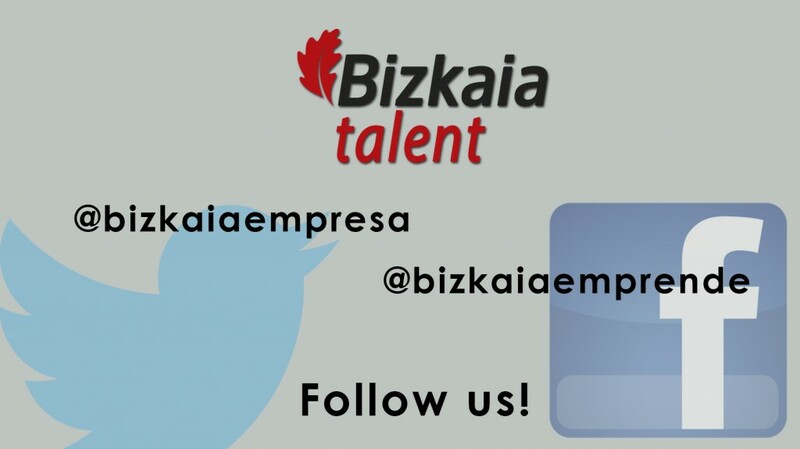 Thus, bizkaia talent will stop using their current social network accounts Twitter and Facebook and will work with @bizkaiaempresa with useful information for the businesses and organisations of Bizkaia, and @bizkaiaemprende which includes information about opportunities for entrepreneurs in Bizkaia. In addition to these two profiles, the activity of bizkaia talent can be followed on @Bizkaia with institutional information from the Council. @BizkaiaGazteak, Useful information for young people. @BizkaiaSocial, Information on social action, inclusion and equality. @BizkaiaKultura, Cultural and entertainment content of Bizkaia.